Radhika Prabhu is a Bharatanatyam (South Indian Classical) dancer. She has performed across India, China, USA, and the UK and has received a National award. She is also trained in Classical Ballet (Yana Lewis, Bangalore, and Royal Academy of Dance, London), the daughter of veteran Theatre/Film Director Sri Srinivasa Prabhu, she delved into acting briefly. Radhika’s work deals with poetic politics. She fishes for and creates psychological and personal narratives. These narratives are never offered with a neat beginning, middle and end, but rather they are all cut up, disjointed, and abstracted. Since personal narratives are responses to the world around, the world within and the conflict between them, these works often hint at social, political, and sexual commentaries (whether they are personal or inherited), though not necessarily seeking or offering an answer. 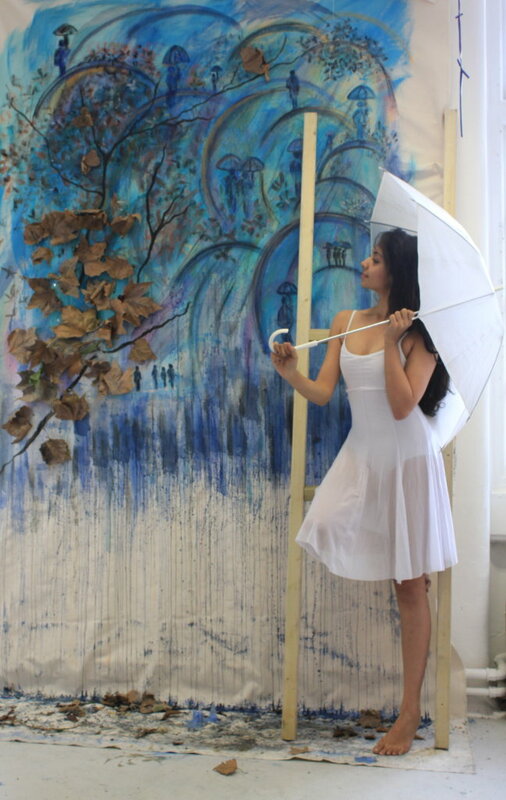 To share these narratives, she uses an interdisciplinary approach, drawing from her experiences in Dance, Visual art and Literature. These works comprise of paintings, performance, sculptural objects, found objects, drawings, video, and text, meshed into installations in various combinations for different projects. 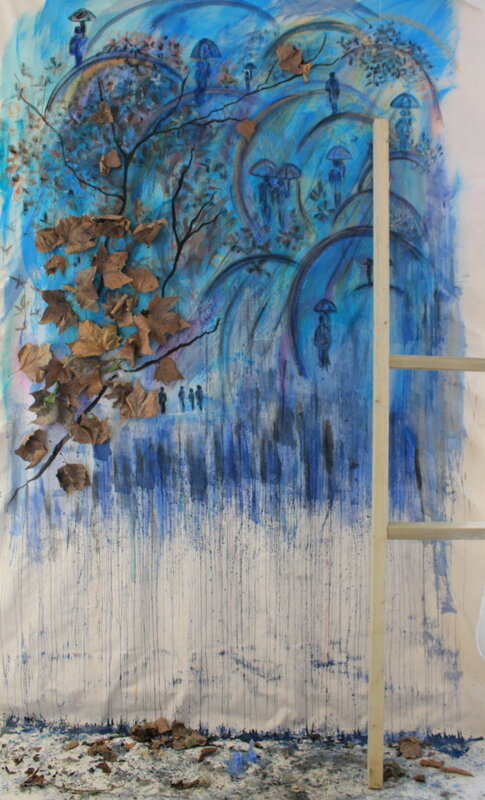 Made with Pastels, Ink, Charcoal, and Leaves on Canvas; umbrella, ladder, performer, movement. 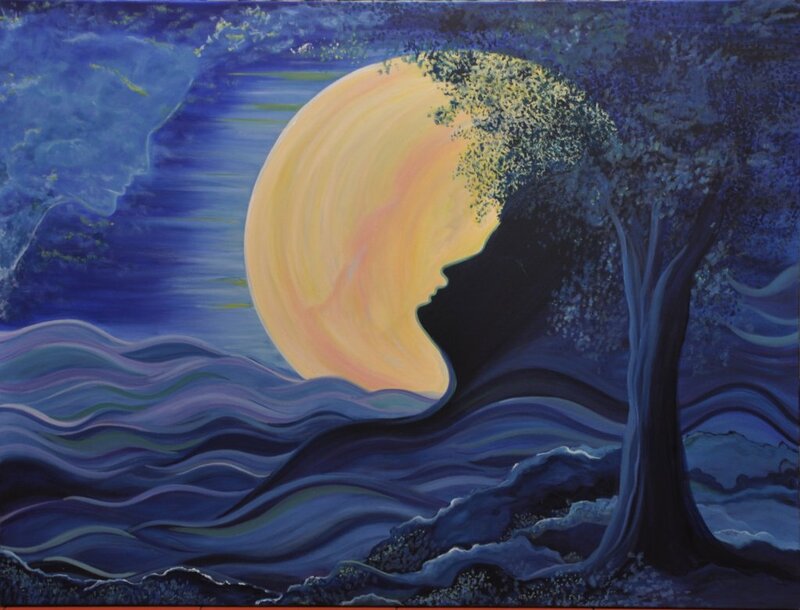 Paintings and poems inspired from each other, drawn from each other. 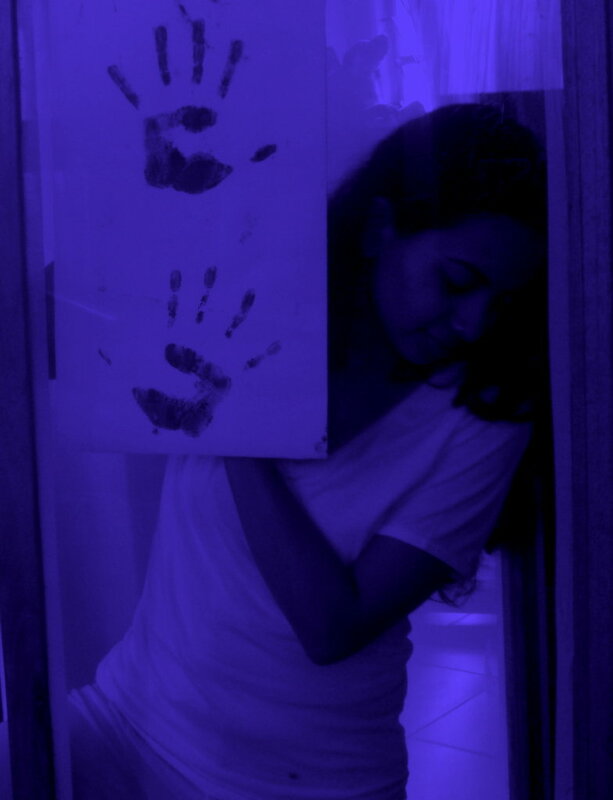 Blue is an experimental Performance Art based on Radhika’s short allegory of the same title which deals with abstract feelings of obsession and possessiveness, and the multiple layers of emotions that it brings with it. 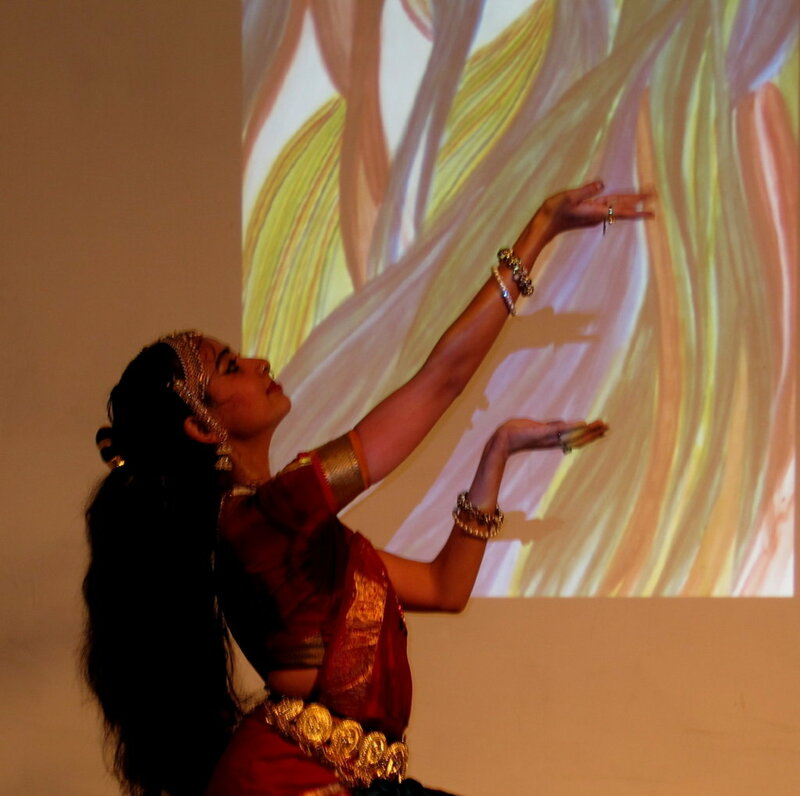 A process of discovering a synergy between everyday body language and the embellishment of Bharathanatyam gestures, it was devised within an installation of acrylic sheets which carried images of some of the text in the story. 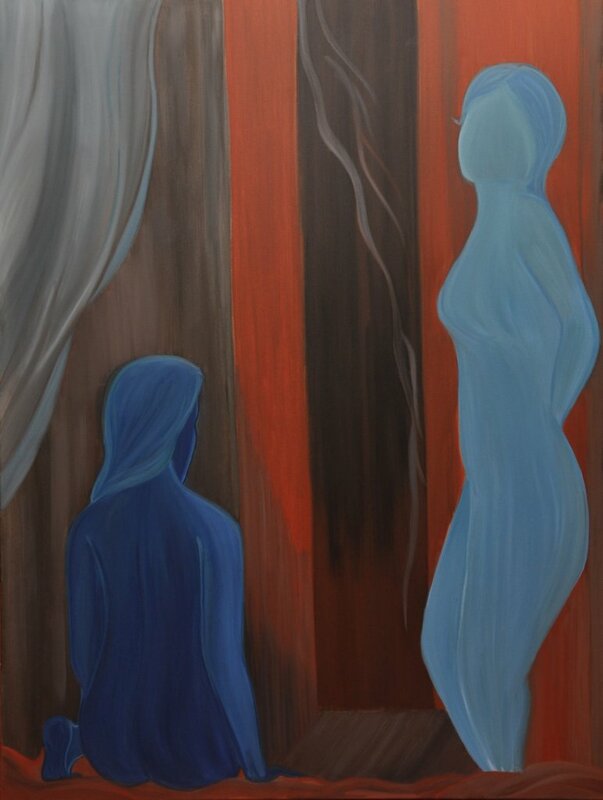 Blue was developed as part of the BLUE FIRE solo show in 2011 in Bangalore. 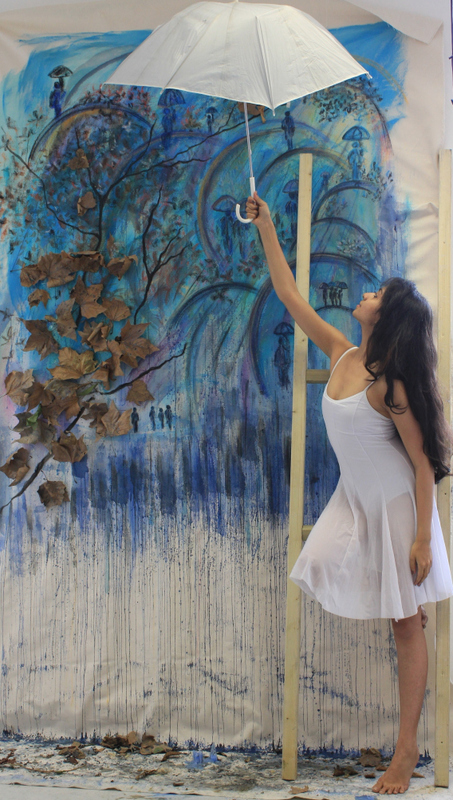 Developed as part of an Art Residency at New York, 2012, ‘WITHIN’ is Radhika’s attempt to understand and visually articulate the often incomprehensible images/moods/feels of the mind that she encounters while dancing, which are then used as a multimedia projection during the performance. As the body moves, uninhibited, what goes on in the mind? Is it still? Does it move with the body? Or does it move to its own rhythm? What colors and forms permeate it, deep within the layers of the dancer’s consciousness? Do the melodies of different ragas influence it as much as they do the body or as much as the dancer thinks they do? 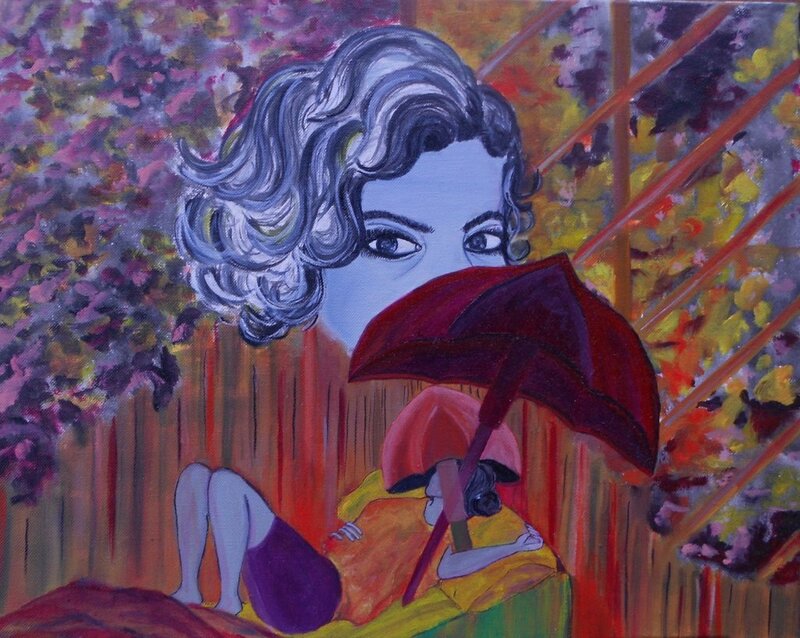 To see more beautiful work by Radhika, check out her website, blog and follow on Instagram & Facebook.